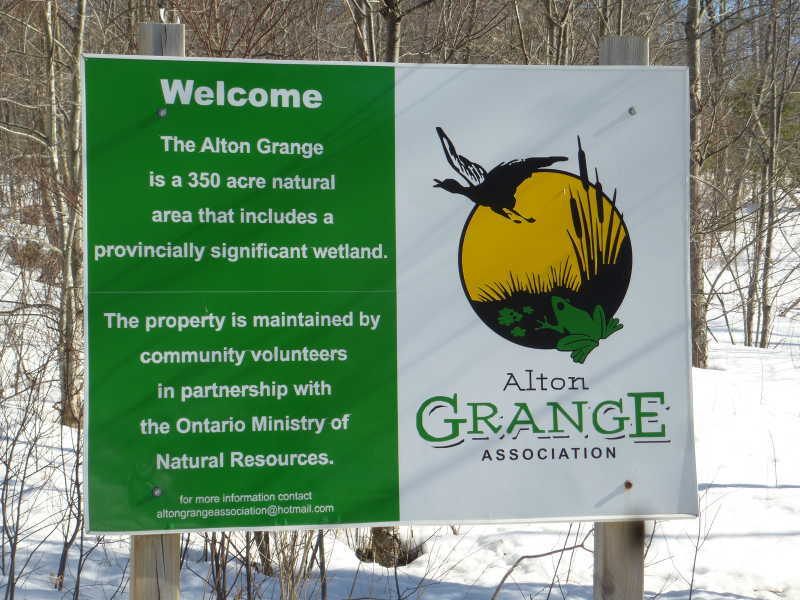 Alton Grange is an old park which used to have a side trail of the Bruce Trail running through it to connect to the Grand Valley trail. The Grand Valley Trail ends just north of Alton. 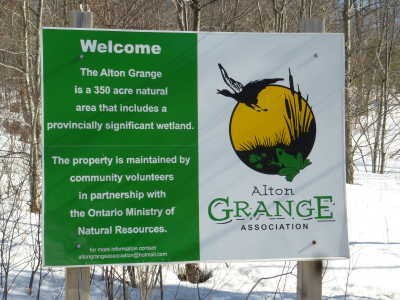 The park now is being maintained by the Alton Grange Association. Hopefully, the beavers have not blocked anything. Turn left (west) at Charleston Sideroad (Highway 24). There is Tim Horton's on the southwest corner. Google maps sends you up Willoughby Road which is a bit shorter. Main Street and Beechgrove Side Road have better signage. The hike starts at 11:15. The terrain is Level 2. There are a couple of hills, including one big one, which happens to be a great lunch spot. Sometimes beavers flood the valley. Otherwise, this is an easy hike. A good après hike spot is the Belfountain inn, located in Belfountain of all places. Here are the Google directions. Basically, you go south until you hit Forks of the Credit Road, and then you turn right. The hike leader needs to check to ensure the bridge to it is open.